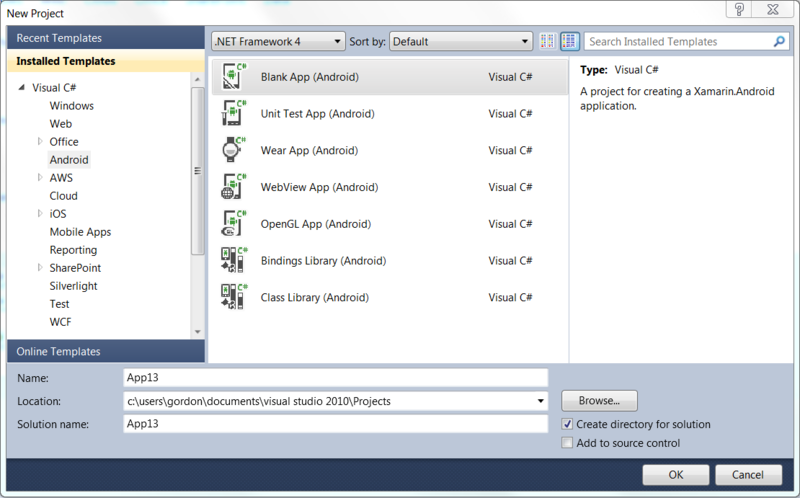 I have developed Android apps on VS10 for several years. I have a current valid license. Loading up my current development now causes a serious error. The solution no longer shows any projects which are available. I have tried starting a new project from scratch using an existing Android template (see first file). 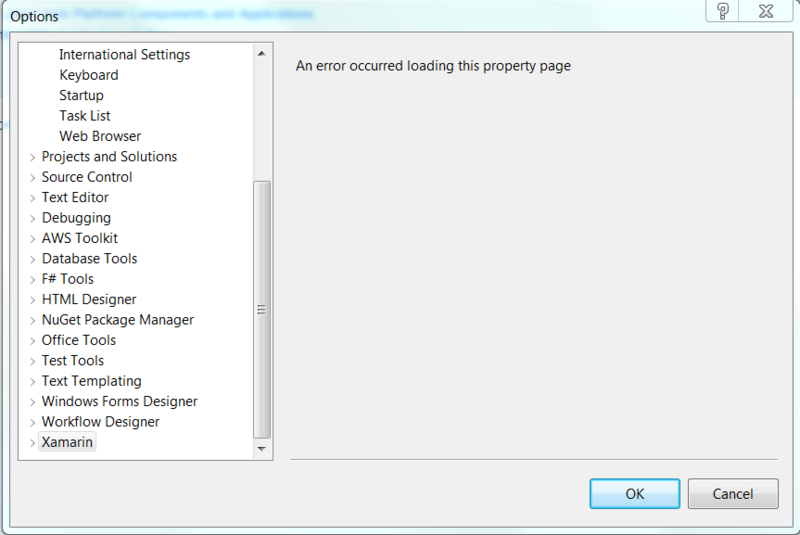 This leads to an error message shown in the second file. If I go to Tools/Options/Xamarin I get the error notification as shown on the last file. I have uninstalled Xamarin then re-installed it again without any change to this behaviour. I have checked with the Android SDK manager that the android modules are up to date which they are. Trying tp re-install without uninstalling Xamarin first just comes back with the message the everything is up to date. Hope someone can advise on this.